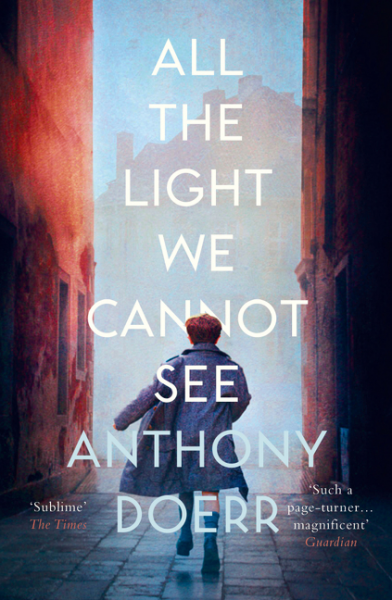 From the highly acclaimed, multiple award-winning Anthony Doerr, a stunningly ambitious and beautiful novel about a blind French girl and a German boy whose paths collide in occupied France as both try to survive the devastation of World War II. Marie Laure lives with her father in Paris within walking distance of the Museum of Natural History where he works as the master of the locks (there are thousands of locks in the museum). When she is six, she goes blind, and her father builds her a model of their neighborhood, every house, every manhole, so she can memorize it with her fingers and navigate the real streets with her feet and cane. When the Germans occupy Paris, father and daughter flee to Saint-Malo on the Brittany coast, where Marie-Laure's agoraphobic great uncle lives in a tall, narrow house by the sea wall. In another world in Germany, an orphan boy, Werner, grows up with his younger sister, Jutta, both enchanted by a crude radio Werner finds. He becomes a master at building and fixing radios, a talent that wins him a place at an elite and brutal military academy and, ultimately, makes him a highly specialized tracker of the Resistance. Werner travels through the heart of Hitler Youth to the far-flung outskirts of Russia, and finally into Saint-Malo, where his path converges with Marie-Laure. Doerr's gorgeous combination of soaring imagination with observation is electric. Deftly interweaving the lives of Marie-Laure and Werner, Doerr illuminates the ways, against all odds, people try to be good to one another. Set in North Africa and Sicily at the end of World War II, In the Wolf's Mouth follows the Allies' botched "liberation" attempts as they chased the Nazis north toward the Italian mainland. Focusing on the experiences of two young soldiers—Will Walker, an English field security officer, ambitious to master and shape events; and Ray Marfione, a wide-eyed Italian American infantryman—the novel contains some of the best battle writing of the past fifty years. 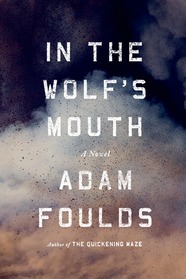 Eloquent on the brutish, blundering inaccuracy of war, the immediacy of Adam Foulds's prose is uncanny and unforgettable. The book also explores the continuity of organized crime in Sicily through the eyes of two men—Angilù, a young shepherd; and Cirò Albanese, a local Mafioso. These men appear in the prologue and in the book's terrifying final chapters, making it evident that the Mafia were there before and are there still, the slaughter of war only a temporary distraction. Viann and Isabelle have always been close despite their differences. Younger, bolder sister Isabelle lives in Paris while Viann lives a quiet and content life in the French countryside with her husband Antoine and their daughter. 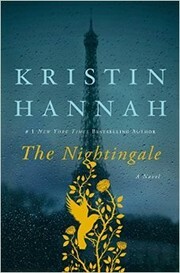 When World War II strikes and Antoine is sent off to fight, Viann and Isabelle's father sends Isabelle to help her older sister cope. As the war progresses, it's not only the sisters' relationship that is tested, but also their strength and their individual senses of right and wrong. 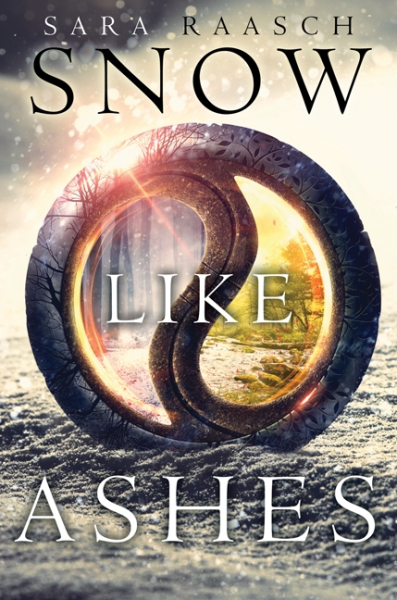 With life as they know it changing in unbelievably horrific ways, Viann and Isabelle will find themselves facing frightening situations and responding in ways they never thought possible as bravery and resistance take different forms in each of their actions. 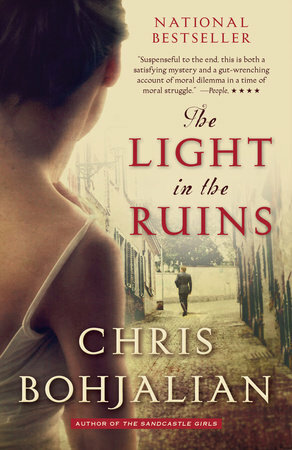 1943: Tucked away in the idyllic hills of Tuscany, the Rosatis, an Italian family of noble lineage, believe that the walls of their ancient villa will keep them safe from the war raging across Europe. But when two soldiers—a German and an Italian—arrive at their doorstep asking to see an ancient Etruscan burial site, the Rosatis’ bucolic tranquility is shattered. 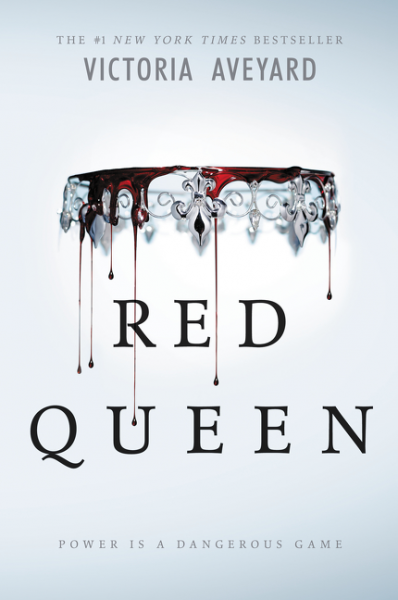 1955: Serafina Bettini, an investigator with the Florence Police Department, has successfully hidden her tragic scars from WWII, at least until she’s assigned to a gruesome new case—a serial killer who is targeting the remaining members of the Rosati family one by one. Soon, she will find herself digging into past secrets that will reveal a breathtaking story of moral paradox, human frailty, and the mysterious ways of the heart. 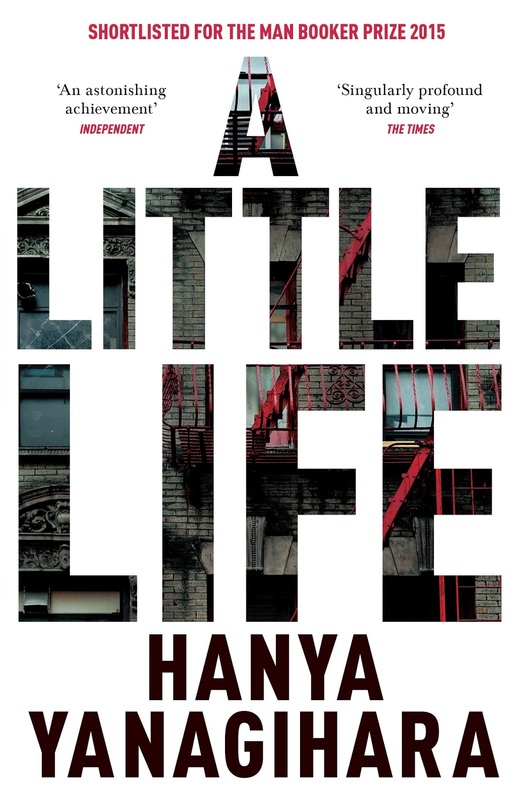 When four classmates from a small Massachusetts college move to New York to make their way, they're broke, adrift, and buoyed only by their friendship and ambition... Over the decades, their relationships deepen and darken, tinged by addiction, success, and pride. Yet their greatest challenge, each comes to realize, is [their center of gravity] Jude, ... by midlife a terrifyingly talented litigator yet an increasingly broken man, his mind and body scarred by an unspeakable childhood, and haunted by what he fears is a degree of trauma that he'll not only be unable to overcome--but that will define his life forever. Two men meet by accident on a bridge early one morning. Once they were best friends but Tommy and Jim haven't seen each other for 35 years. Back then, Tommy and his sister were abandoned by their mother and later by their abusive father, and Jim, who lived alone with his religious mother, went to high school and became a socialist. Then one winter, Jim started to doubt whether he was deserving of the friendship. Now Jim is standing on the bridge, fishing, when Tommy drives by in his expensive new Mercedes. I Refuse follows both men during the course of the fateful day that follows. 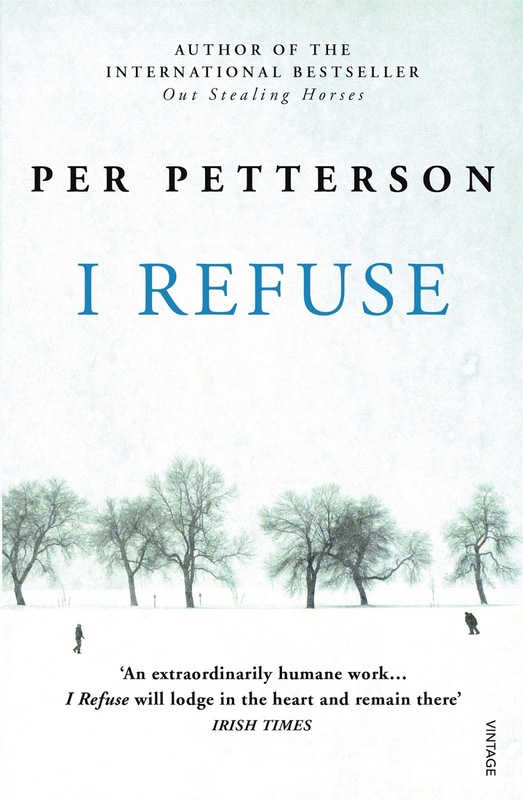 Per Petterson's outstanding new novel is broader in scope than many of his previous novels, but as powerful and moving as anything he has ever written. If you like this: A Man called Ove… You’ll like this: This is your life Harriet Chance! Sixteen years ago the Kingdom of Winter was conquered and its citizens enslaved, leaving them without magic or a monarch. The Winterians" only hope for freedom is the eight survivors who managed to escape, and who have been searching for the opportunity to steal back Winter"s magic and rebuild their kingdom ever since. Orphaned as an infant during Winter"s defeat, Meira has lived her whole life as a refugee. Training to be a warrior-and desperately in love with her best friend, Winter"s future king-she would do anything to help Winter rise to power again. So when scouts discover the location of half of the ancient locket that can restore their magic, Meira decides to go after it herself-only to find herself thrust into a world of evil magic and dangerous politics, and to realize that her destiny is not, never has been, her own.